ISLAMABAD: March 9, 2014. 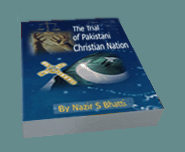 (By Shamim Masih) Pakistani Christian politics is misguided for some time. Since people is the real power of the politician, if people are not on your back then something gone wrong. It is third term that minority members are being selected through proportional system. They are not real representatives of the community. Pakistan Christian Congress - PCC, the oldest Christian political party in Pakistan is struggling for separate electoral system for minorities. Dr. Nazir S Bhatti, PCC chief and Daud Sharif Sahotra have decided to join hands in an attempt to bring more equal rights to Pakistani Christians. 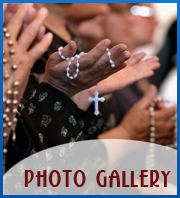 Pakistani Christians face intense persecution at the hands of Islamic fundamentalists for three decades. PCC and Masihi Milli Ithad will struggle hard to bring equality. Daud Sharif chief organizer of Masihi Milli Ithad said that we are together for the best interests of the community. We demand our fundamental rights and our struggle will bring the change. Masihi Milli Ithad will participate in Punjab Youth Conference of PCC in Lahore on April 26, as partner. Dr. Nazir S Bhatti welcomes Mashi Milli Ithad and said we will struggle hard to achieve our goals.